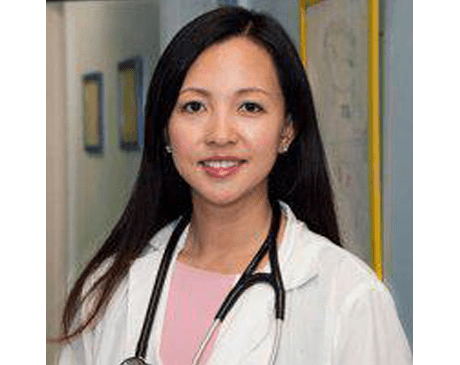 Lisa Guan, NP is a board-certified pediatric nurse practitioner and has been working as one for more than 10 years. She is proud to serve both new and existing patients at Peds 4 Kids in Rego Park, New York. She received her Bachelor of Science in Psychology at State University of New York at Buffalo and then went on to complete a Bachelor of Science in Nursing from the prestigious New York University. Her love for pediatric care led her to continue her education at NYU and receive a Master of Science as a Pediatric Nurse Practitioner. Her clinical interests include management of pediatric primary care, developmental screening, asthma, allergic disorders, dermatological conditions, obesity and nutrition, and adolescent medicine. Before becoming an NP, she worked as a senior staff registered nurse on the pediatric floor at NYU Langone Medical Center. As a mother of two children (ages 11 and 7), she has learned to treat her patients not only from a medical provider's point of view, but also from a mother's. Working with children is her passion and she is committed to keeping abreast of the latest medical information to provide your family with the highest standard of care. In her free time, she enjoys traveling, swimming, skiing, and spending time with her family. She is also fluent in Chinese (both Cantonese and Mandarin).